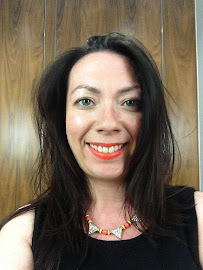 Last month it was my birthday so it was the perfect time to receive some gifts from I Just Love It*. Of course these were treats I picked out for myself but nonetheless they were well received. 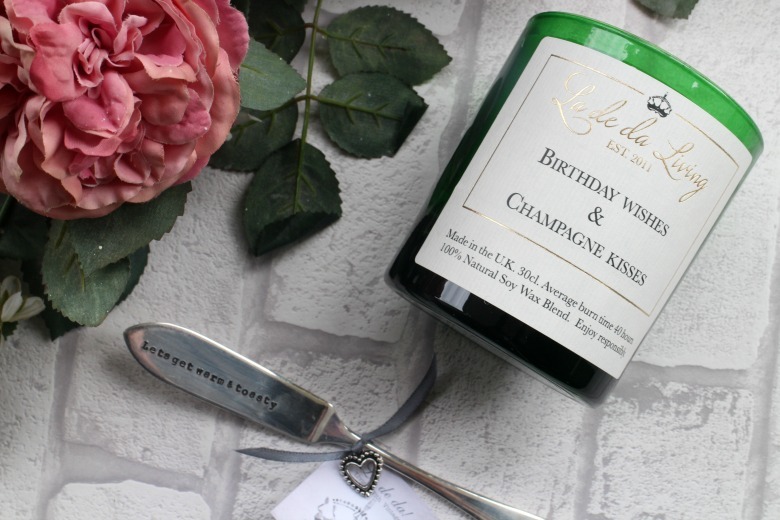 First was the 'Birthday Wishes & Champagne Kisses' Candle* which comes complete with it's own tin and would make an ideal birthday gift for anyone I think. It looks far more expensive than it's £19.99 price tag. A soy wax blend the candles scent is Toasted Marshmallow and whilst it might not necessarily be that time of year I'm really enjoy this candle at the moment. The scent fills the room even when unlit and once it's finished this is one I'll be cleaning out and re-purposing. Sadly it does appear to be currently out of stock online at the moment but never fear I Just Love It have a large range of alternative candles, for any occasion not just birthdays. I have my eye on the Bellini Candle next. Long term followers will know that my blogs origins lay in a love of vintage homewares so I could resist the Let's Get Warm & Toast Butter Knife*. I really enjoy and smile to myself when I use this and its definitely a gift that would make someone smile and remember you when they used it. I Just Love It has a great range of various vintage items stamped whether for Father Day or the recently married so do check them out. It's a little something different without being too over sentimental. If you're not a fan of myself a quick look round the site will show you there is an extensive ranges of gifts for everyone and every occasion whatever your price range. It's definitely somewhere I will turn to in future when I have an event coming up and I want something that I won't fear another guest turning up with. What item would you pick? Please note items were gifted for the purposes of this review but no additional payment was made by I Just Love It for the review itself. very belated bd wishes to you.